Well, it's that time of year once again where I show off some of the stuff I have. I guess I do that more than once a year. I'm okay with this. Anyway, my birthday has come and gone as it seems to do, and I got some neat things. So you get to see them! But first, check out this sketch of The Tick and Arthur from Rob Croonenborghs! I thought that this was pretty cool. 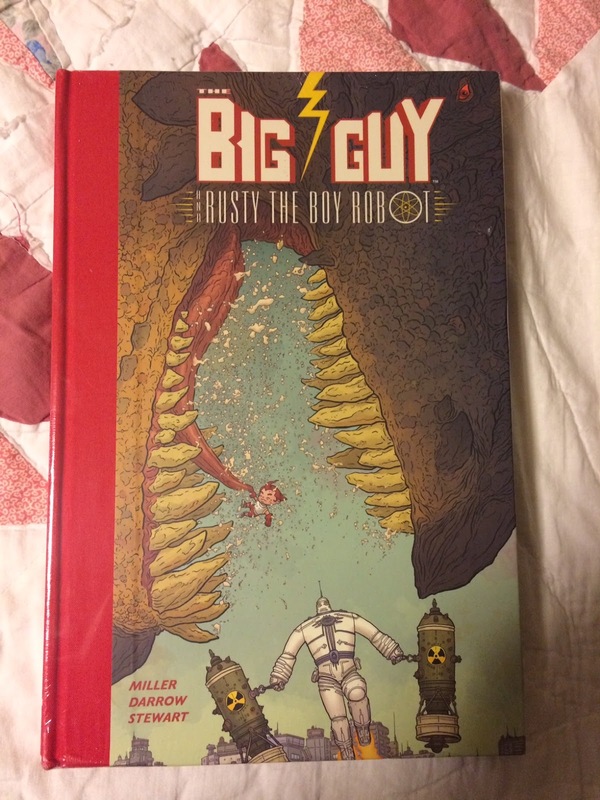 First up on the docket is the Big Guy and Rusty the Boy Robot hardcover collection from Dark Horse Comics. I'm excited to break into this as I've actually never read the story before and it's, if you can believe it, one of Frank Miller's stranger co-creations. I wonder if the '90s cartoon is out on DVD? Hmm...four seconds of Amazon research tells me that it isn't. I wonder why? It was recently announced that "Weird Al" Yankovic would be the new co-host and band leader of IFC's "Comedy Bang! Bang!" beginning in season five. This means, of course, that it's time for me to catch up on the series so far, and I got the first two seasons that I'm pouring through. It really is a fantastic program. It's weird and irreverent and it suits my sense of humor just fine. Also in the stack is a book all about old comic book ads, "Mail-Order Mysteries"! 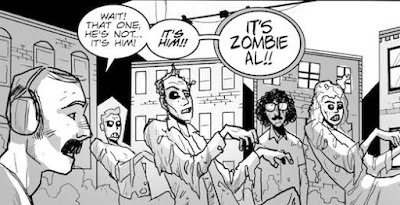 It shows the actual products behind many of the more ubiquitous ads that showed up in comics. It does not disappoint and seems oddly tailor-made to me specifically. Lastly you'll see "Save the Cat", a book on screenwriting for jerks like me who will one day probably sell out and write a screenplay. If I haven't already. Next up, we've got some more DVDs, including the second volume of the Conan the Adventurer series, the complete Planet of the Apes tv series, and the first season of very Clone High alumni heavy "The Last Man on Earth". Just as I predicted, I'm getting sucked into the amiibo fad and now I own two. I keep telling myself that I'm stopping with Pac Man. Who knows if this is true? I also picked up a new audiobook set in the "Ender's Game" universe. "Ender's Game" was such an incredible book and everything afterwards just slowly and unfortunately went downhill. I guess I'm still trying to recapture that initial wonder. Oh, and I spent all of last month stalking Larry with a fake Twitter profile before revealing it to him with a birthday cake from (of course) Dairy Queen. Revenge isn't the only thing that's best served cold. Ice cream cake is. Because it's made of ice cream. You get it.